The Indian Space Research Organization is set for its year-closing mission on Wednesday, launching a PSLV rocket to carry the ResourceSat-2A Earth-observation satellite into orbit. 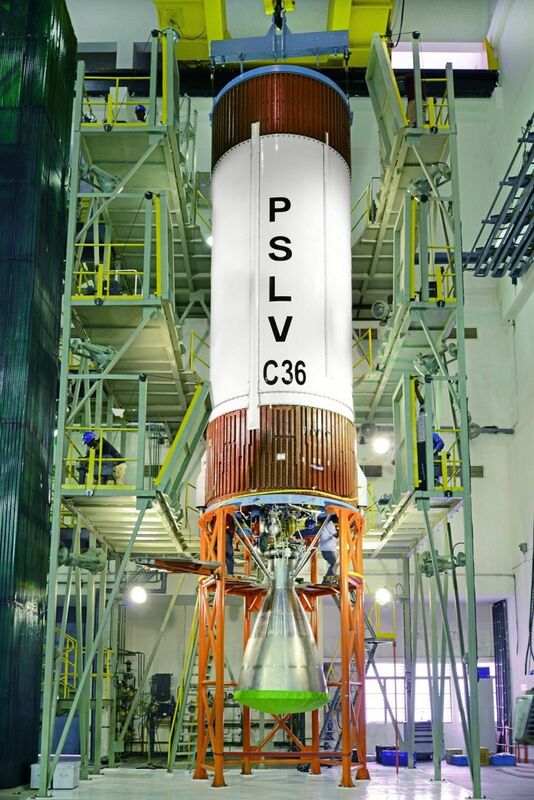 PSLV-C36 is India’s seventh orbital launch of 2016 which also saw a pair of sub-orbital missions in support of the country’s Reusable Launch Vehicle program. With seven orbital missions in a calendar year, India continues to push the record for missions conducted per year, a trend started a few years ago as more vehicles joined India’s fleet of rockets alongside the PSLV workhorse. It marks the third year in a row that India pushed this particular record – launching four orbital missions in 2014 and pushing the record to five in 2015. All six of India’s orbital missions of 2016 have been successful with five launches of the PSLV and a single mission of the more-powerful GSLV-Mk II. 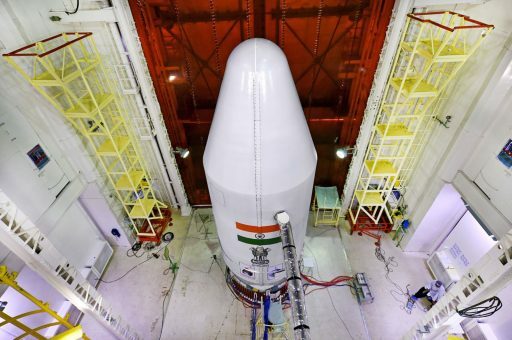 PSLV had not flown more than four times in a calendar year until 2016 and India expects to continue a steady launch rate of the PSLV workhorse while working to establish regular launches of the two GSLV rocket types in the coming years, cutting the country’s reliance on foreign launch services while expanding its own role on the international launch market. Wednesday’s mission is set for liftoff at 4:55 UTC and aims for a 827-Kilometer orbit from where the ResourceSat-2A satellite will employ a trio of instruments to keep close tabs on a changing planet. The satellite has been built as a replacement for the ResourceSat-2 spacecraft that has been in operation since mid-2011 and recently surpassed its expected five-year mission life. The primary goal of the mission is to extend a record of Earth observation data started with the first ResourceSat mission in 2003, supporting various applications in agriculture, forest mapping, water resource management, rural infrastructure, and disaster management. 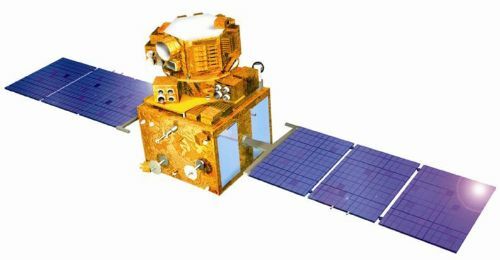 Weighing in at 1,235 Kilograms, the ResourceSat-2A spacecraft carries a pair of Linear Imaging Self-Scanning Sensors (LISS-3 & 4) and an Advanced Wide Field Sensor (AWiFS) to deliver multi-band imagery of Earth tuned to specific wavelengths that reveal different environmental properties. The three instruments are designed to deliver a combination of wide-swath and high-resolution imagery to satisfy different demands from various user communities. 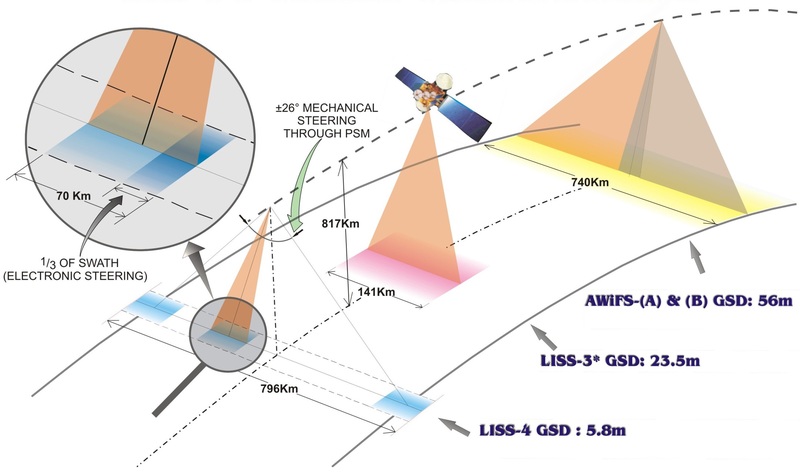 LISS-4 represents the high-resolution imager of the satellite, outputting 5.8-meter color imagery in three bands across a ground swath of up to 70 Kilometers while LISS-3 covers a wider swath of 141 Kilometers and generates imagery in four bands at a 23.5-meter resolution. AWiFS, while only achieving a 56-meter resolution, covers a 740-Kilometer swath on the ground to collect imagery at a high revisit rate. 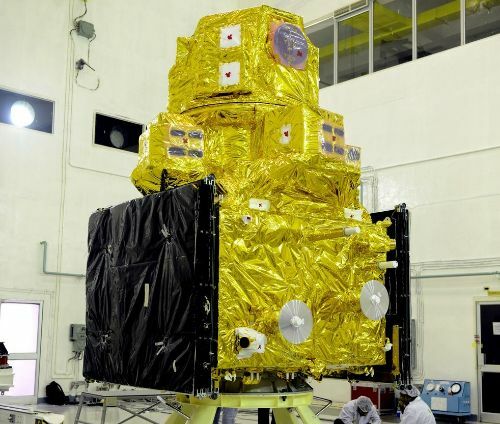 ResourceSat, along with the OceanSat, ScatSat and CartoSat programs, represent India’s primary Earth-observation programs, delivering a full spectrum of data to monitor Earth’s land mass, the global oceans and deliver data on the atmosphere. 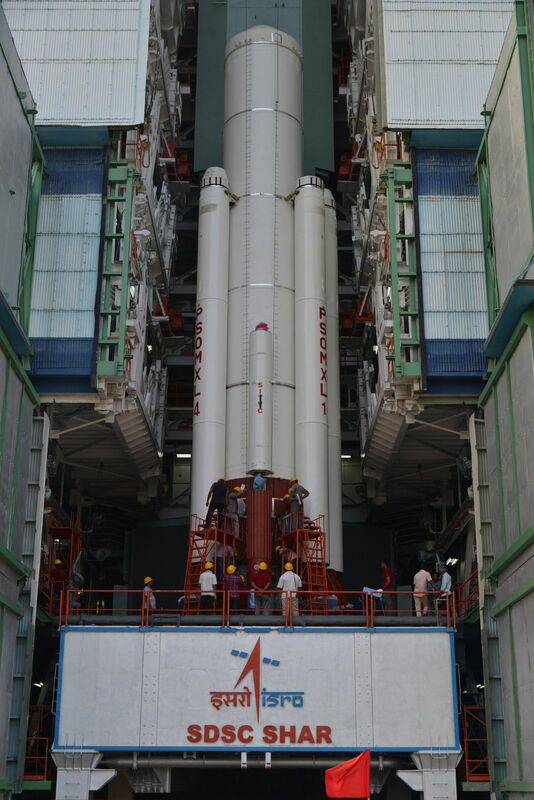 PSLV headed into a two-day countdown on Monday after the Launch Authorization Board gave a green light for the mission. As part of the countdown, PSLV received its liquid propellants – First up was Monomethylhydrazine loading on the upper stage and RCT followed by the loading of MON-3 oxidizer (Mixed Oxides of Nitrogen) – completed over the course of the day on Monday. On Tuesday, the second stage is being filled with its supply of toxic Unsymmetrical Dimethylhydrazine and Nitrogen Tetroxide followed by the retraction of the Service Tower to reveal PSLV on its pad. On Wednesday, teams will complete the final power-ups of the launch vehicle’s systems for comprehensive testing to ensure the vehicle is ready to head into the final countdown sequence picking up at L-14 minutes when computers will be handed control of the final countdown events. 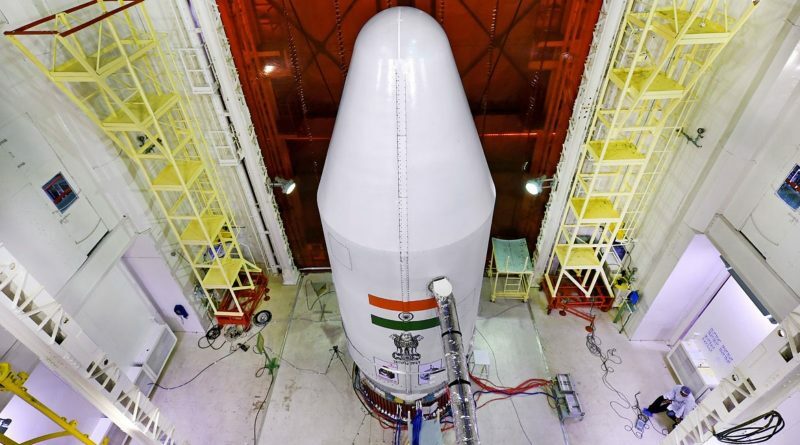 Leaping off its launch pad, PSLV will face the usual dogleg maneuver to avoid flying over the island of Sri Lanka – a slight detour from the desired south-westerly ascent trajectory to avoid passing over inhabited areas. Initially headed to the south-east, PSLV will drop its boosters 70 and 92 seconds into the flight followed by burnout and separation of the core stage at T+1:54 to set up for the ignition of the second stage and a guided turn to the south-south-west once clear of the island. The payload fairing will drop away two minutes and 30 seconds into the flight when PSLV will have reached an altitude of 126 Kilometers. Burnout of the second stage is expected 4 minutes and 22 seconds into the flight with PSLV traveling 4 Kilometers per second, passing through 273 Kilometers in altitude. 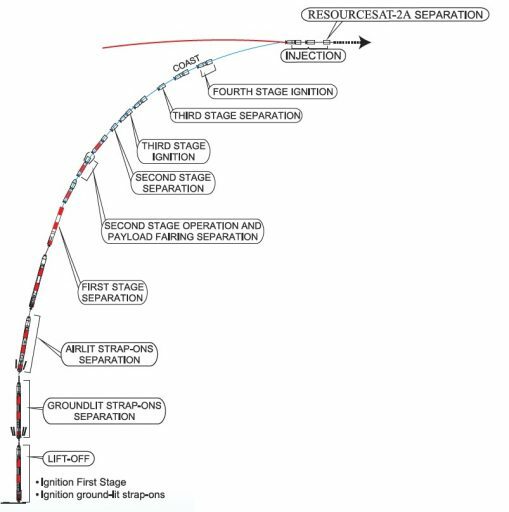 Third stage ignition occurs one second after staging, starting a burn of 113 seconds during which the stage will deliver 24,900 Kilogram-force of thrust. 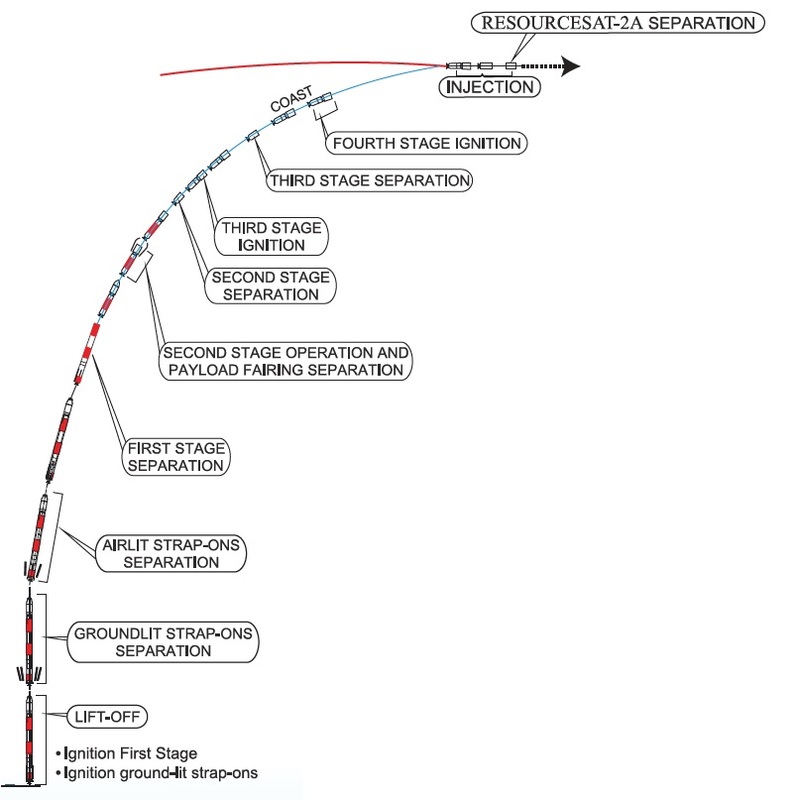 After burnout of the third stage, PSLV will keep holding onto the spent stage for the nominal Stage 3-4 coast phase designed to tail off residual thrust on the PS3 while also allowing the stack to gain altitude so that the fourth stage can complete the orbital insertion with a single, continuous engine burn. Separation of the third stage is planned eight minutes and 41 seconds into the mission followed ten seconds later by ignition of the twin L-2-5 engines on a burn of eight minutes and 17 seconds. Generating 1,500 Kilogram-force of thrust, the twin engines are tasked with a direct delivery to a 827-Kilometer orbit, inclined 98.72 degrees. 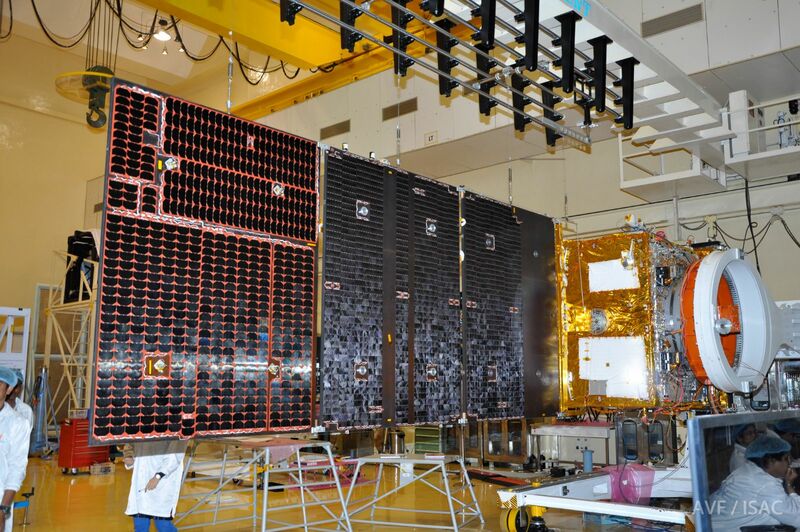 The ResourceSat-2A satellite is planned to be released 17 minutes and 55 seconds after liftoff to mark the completion of the PSLV-C36 mission. ResourceSat-2A will spend several weeks undergoing checkouts and phasing into the correct Sun Synchronous Orbit to build an orbital constellation with the original ResourceSat that remains in operation 13 years after its launch and ResourceSat-2 which will be operated for as long as possible to maximize the ground coverage of the ResourceSat instruments.